Since Philadelphia was pummeled with snow last week, I was stuck inside for 2 days in a row. Is there a better excuse to eat, drink and be merry? Last Wednesday, when Snowpocalypse 2010 hit us hard, I woke up and fixed a huge pot of McCann’s Steel Cut Oats. You’d think it was a healthy breakfast, except I ate it all with gobs of melted brown sugar on top. It’s possible I walked the calories off, when a group of us trudged through the snow to El Camino Real, however my entire afternoon consisted of endless nachos and salsa, an appetizer of fries, pulled pork…with a side of fries, baked beans, and pitchers of margaritas. You can see why I literally ate myself sick. It probably didn’t help much that this outing was followed by another round or two (or four) of beers at another bar. The next day I woke up hungover. Not necessarily from alcohol, but from over consumption in general. Living the gluttonous life was fun for a little bit, but by snow day #2 I was ready to detox with a nice, crispy salad. Not before I made these insane Nutella Brownies. With the rack in the middle position, preheat oven to 325 degrees. Line the bottom of a 20 cm (8 inch) square cake pan with parchment paper, letting the paper extend over two opposite sides. Butter the two other sides. In another bowl, beat the eggs, Nutella, brown sugar and vanilla extract with an electric mixture until smooth, about 2 minutes. With the mixer on low speed, add the flour mixture, alternating with the melted butter. 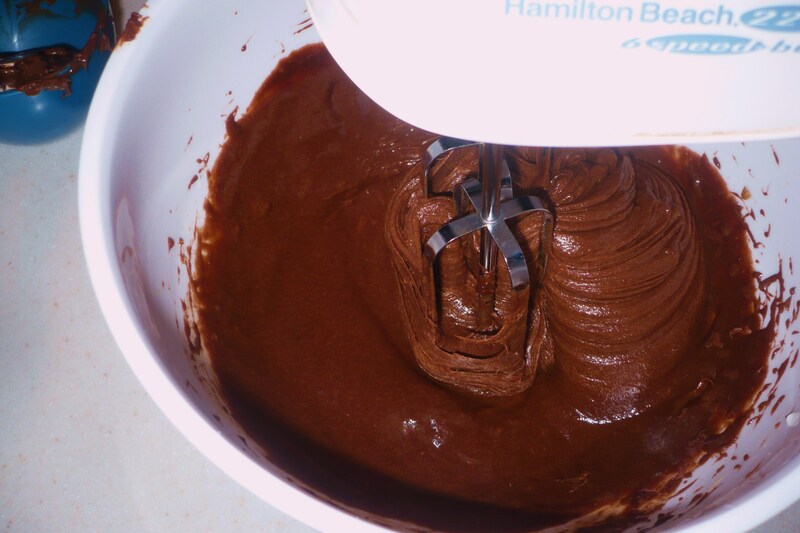 Scrape the batter into the cake pan. Bake until a toothpick inserted in the centre comes out with a few crumbs attached (not completely clean), 35 to 40 minutes. Cool in the pan for about 2 hours. Unmould and cut into squares. These are quite possibly the best brownies I have ever made. Typically, I like a really rich, dark chocolate brownie and rarely veer away to anything lighter. The hazelnut flavor of the Nutella was very obvious, and the hint of cocoa from this feature ingredient added the perfect amount of chocolate-y flavor. That’s not to say these brownies are “light;” with a cup of Nutella (190 calories per 2 tbsp, 100 of those from fat) and an entire stick of melted butter, they are indeed rich. The recipe states your oven should be set to 325 for 35 to 40 minutes, however my batch needed to hang out for an extra 12 minutes at 330. Granted, I am a baking sinner, and do not own an oven thermometer. 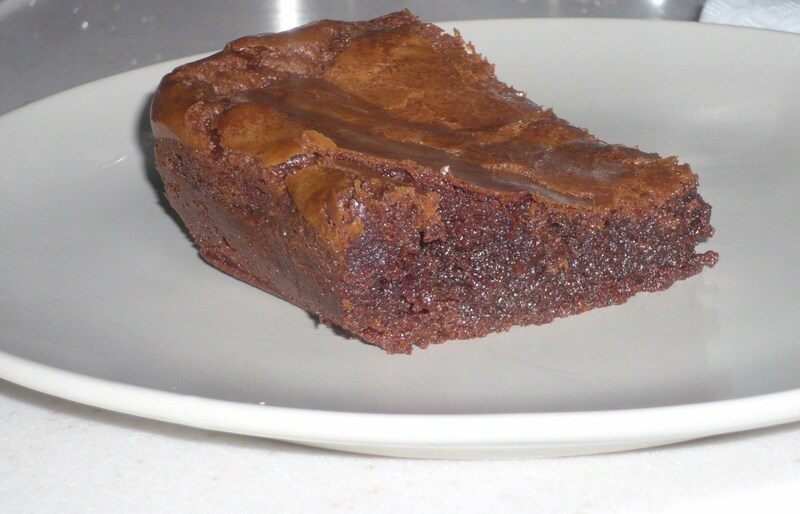 Speaking of sinning… who can possibly wait for 2 hours for brownies to cool? That’s not even fair. An hour, tops, is about how long we held out; even the shortened amount of time was worth the wait. The brownies were perfectly moist and dense, I think partly due to the perfect proportions of Nutella, melted butter and brown sugar. Snow day number 2 ended with brownie overload, which I refuse to feel guilty about. In fact, I think I went out with a bang. Plus, it’s not often you’re stuck in the house with nothing else to do but cook, bake, eat and drink. Lucky for me, we’re expecting snow tonight. Dear Clean Plate, the nutella brownies sound divine! 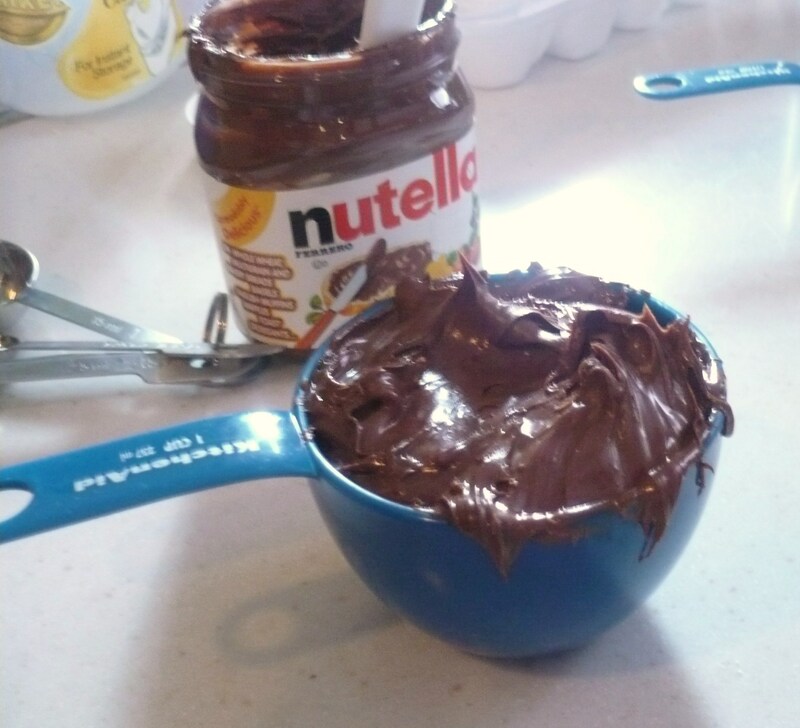 I love nutella so much that I would eat it with a spoon when I was a kid. Also thought “snowpocalypse” was an awesome word to describe this recent weather on the east coast!! “Wild Thing”, you make my heart sing! Loved and saved this recipe. I shall revisit you soon. Thank you for sharing.